Voices of Inspiration will inspire, encourage and motivate you in every way. Voices of Inspiration derived from the talented and aspiring elementary students at the Walton Academy for the Performing Arts, a public charter school of choice in Tampa, FL. Our mission for these young performers is to inspire, encourage and motivate our audiences.For more than 10 years, the students at Walton Academy has pleased the hearts and minds of many community organizations and groups in the state of Florida. These “Little Ambassadors with Eagles’ Wings” have given choral and theatrical performances at statewide conferences, senior citizens facilities, universities, hospitals and community festivals. We are currently working on our 2nd CD & DVD Recording Project to be released this year. VOI recorded the school’s song in April of 2007 at the Live CD Recording. 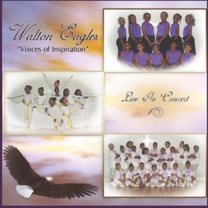 “Walton Eagles” is written by Music Teacher, Randol Walton. 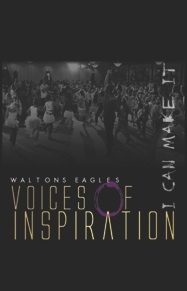 The song, Walton Eagles assures the students at Walton Academy that this is place where they can grow, learn and aspire to become whatever they put their hearts and minds to become. Encourage someone, share this link with others!